I am looking for plants, along the line of ti plant cordyline features, to plant around my chlorinated pool area with full South Miami sun. We have a dog therefore they must be non-toxic plants. The area is a long narrow strip approximately 1 1/2 foot wide for planting. Any suggestions? For a list of native plants that will grow in your narrow, pool-side bed that are non-toxic to dogs, take a look at the Native Plant Database on the www.wildflower.org website and enter the following search criteria: State = Florida, habit = shrub, duration = perennial, light requirement = full sun, soil moisture = moist, size = 1-6 ft. 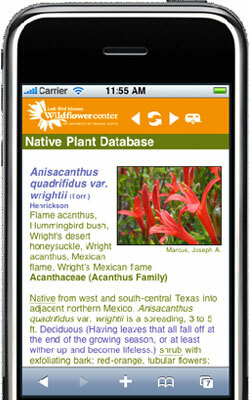 This search will reveal 11 native plants. Avicennia germinans (Black mangrove) Evergreen shrub or, in tropical regions, a tree with rounded crown of spreading branches. This tropical shrub bears thick, elliptic, evergreen leaves and small, white flowers with dark-spotted corollas. The 1 1/2-2 1/2 in. long leaves are dark-green above, pale-gray hairy beneath. Black mangrove can become tree-like and reach a height of 50 ft., but it is usually much shorter. The bark is dark gray and smooth at first, becoming scaly on larger trunks. Many upright, unbranched roots are exposed. Black Mangrove is the hardiest of the four species forming the mangrove swamp forests of southern Florida. It penetrates farthest inland into brackish water of rivers and farthest north along the Gulf Coast, where it becomes smaller and shrubby and is killed in cold winters. New seedlings, however, invade from seeds transported by currents and persist a few years. An important honey plant, it yields clear whitish honey of high quality. The other three native mangroves are tropical trees confined mostly to southern Florida but do extend northward along the coast to the central part of that state. Can bloom occasionally during any part of the year. Useful for canal bank stabilization and as a hedge bordering bodies of salt water. Borrichia frutescens (Bushy seaside tansy) Sea Daisy or Bushy Seaside-tansy is a colony-forming, shrub-like perennial to 3 ft. tall, with ascending branches and attractive foliage. The fleshy, oval , semi-evergreen leaves are pubescent on both sides. Dotting the masses of gray-green foliage are bright yellow, daisy-like flowers. This is a salt-tolerant member of the aster family. Salt-tolerant. Used effectively as a border or foundation plant. Clethra alnifolia (Coastal pepperbush) Coastal sweet-pepper or summer sweet is a narrow, 6-12 ft., deciduous shrub, which often spreads into mounded clumps. A tall, many-branched, leafy shrub with spike-like, upright clusters of fragrant white flowers. The shrub has erect, multiple stems; exfoliating bark; and simple, oval, toothed leaves which turn dull yellow to orange in fall. The dense, narrow, cylindric flower spikes are often clustered together at branch ends. Fragrant flowers are white and are followed by brown capsules which persist through winter. This shrub forms sizable patches and is remarkably free of any disease, insect, or physiological problems. Its dry fruiting capsules remain long after flowering and help identify this plant in winter. Mountain Pepperbush (C. acuminata) has more pointed leaves and is found in southern mountains. Normally 3 to 6 ft, but can reach 12 ft.
Hibiscus laevis (Halberdleaf rosemallow) The Halberd-leaved rose mallow grows to 6 feet tall with erect stems and leaves. The leaves are alternate and prominently lobed at the base, the lobes wide-spreading and sharp-toothed. Flowers bloom from the axils of the leaves, from the bottom to the top of the stem. The large cup-shaped blossoms, about 3 inches long, are pink, sometimes white, with maroon or purple throats. The 5 overlapping petals open by day and close tightly at night. Hibiscus moscheutos (Crimsoneyed rosemallow) This is a 3-8 ft., shrubby perennial with numerous sturdy stems arising from a single crown. The large, heart-shaped leaves are grayish-green above and hairy-white below. The showy, five-petaled, creamy-white flowers have a conspicuous band of red or burgundy at their bases from which a tubular column of yellow stamens extends. This strikingly showy species is often found along edges of salt marshes but is more common in upper-valley wetlands. Clumps of Hibiscus start to grow late in the season and flower over a long period in late summer. Sabal minor (Dwarf palmetto) This common, fan-shaped palm is a small shrub, 5-10 ft. tall, occasionally reaching tree size in Texas. Usually stemless, the leaves arising from an underground stock. Leaf blades longer than the leaf stalks, fan shaped, as much as 4 feet wide, dissected, the narrow segments notched at the tip. White blooms are followed by black fruit about 1/2 inch wide in long clusters. Plant forms a trunk when grown in standing water. Lastly, cross reference this list against the list of plants that are non-toxic to dogs. The ASPCA has a very good list on their website for this purpose. The only plant on the above list that could be toxic to dogs are the Hibiscus. These species weren't listed on the ASPCA site but a related one was (Hibiscus syriacus), so be cautious if you use this group of plants. June 15, 2009 - is the photinia bush toxic to dogs?? May 20, 2012 - Can I grow a Texas Mt. Laurel in Lancaster, PA?